middle of the group has occasioned a conspicuous and persistent cliff of erosion. have a far more complicated structure. Mural limestone), Carboniferous (Escabrosa limestone and Naco limestone). 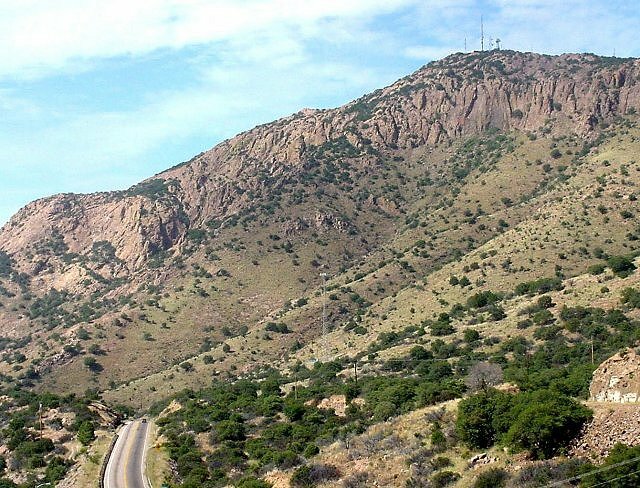 that surround the Mule Mountains. by Y.S Bonillas, J.B. Tenney, E.M Feuchre and Leon Feuchre, 1919, A.I.M.E. Trans. by Philip D. Wilson, 1916, A.I.M.E. Trans. USGS Professional Paper, 28 p.